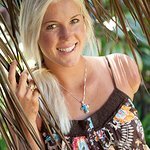 Friends of Bethany is a non-profit organization dedicated to sharing the hope and love of Jesus Christ worldwide by supporting and inspiring people through the life stories of Bethany Hamilton and others. The primary goals of the foundation are to: Provide support for shark attack survivors and amputee’s worldwide; and present inspiring life stories through movies, projects, and activities. Google trends for "Friends of Bethany"
We don't have any videos related to Friends of Bethany.